As the Little Girls become more active and adventurous, they seem to grow and flourish at an alarming rate. That’s probably because they eat everything in their path. Well, almost… Yesterday afternoon, as I turned the little speed demons out into the “big yard”, I noticed one of them looking very cautiously into a patch of tall grass. I’ve been on the lookout for the season’s first snake, and I figured the time had come for the life-or-death decision – snake or chick? Like any good Mother Hen, I snatched my baby away from imminent danger, only to see what had caught her attention: a beautiful, but struggling moth. 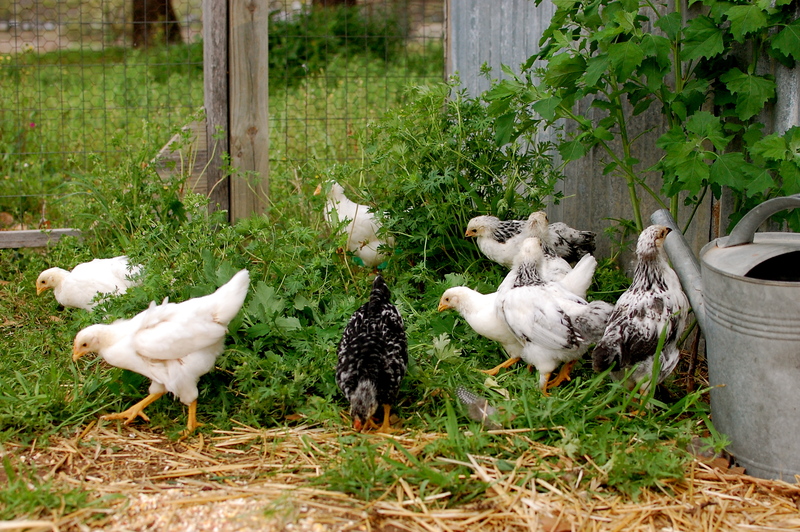 Needless to say, I dropped the chick (gently) like the fluffy Piranha that she is, and not-so-deftly scooped up the flapping moth, trying to fend off the gathering pack whose curiosity would, surely, be the death of the poor moth. I took it to safety, and my son and I admired the beautiful creature for quite a while. It didn’t try to escape. My son informed that (he thinks) this a moth that can grow so large, it eventually can’t fly because it is too heavy to lift itself. Awww, sad. And, that certainly seemed to be the case with this one. His/her body was quite large. 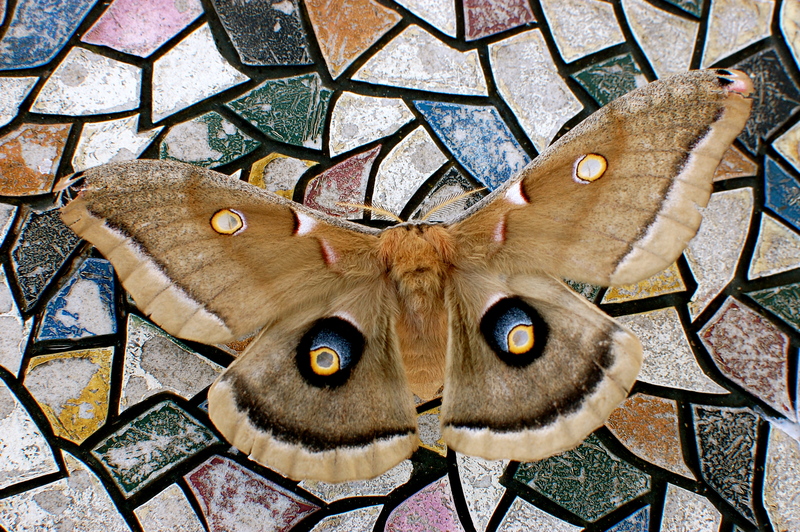 The Google tells me this is a Polyphemus moth (Anthera polyphemus). It also tells me the males have “large, feathery antennae”, so I’m not sure if this one is a young male or a female, as the antennae were neither large nor feathery, yet. 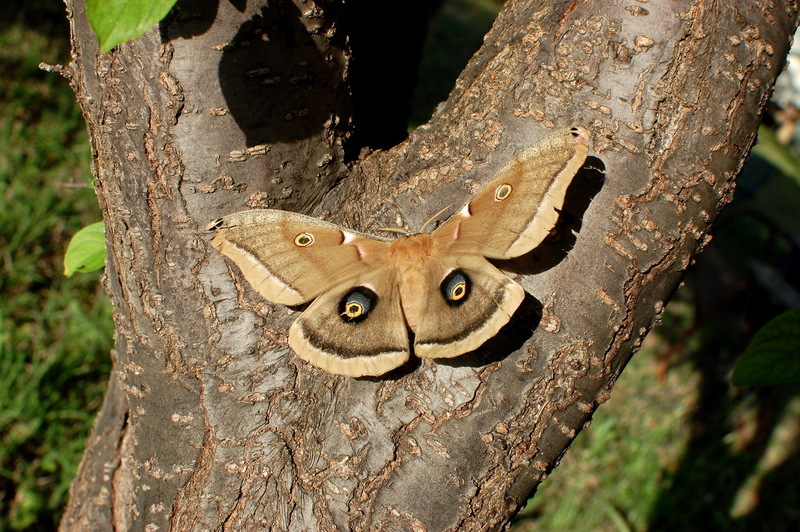 Anyway, the last I saw of Polyphemus, it was sunning itself on the plum tree where I left it, safe from cute little fluffy chicks and their ravenous killer instincts…and, appetites. 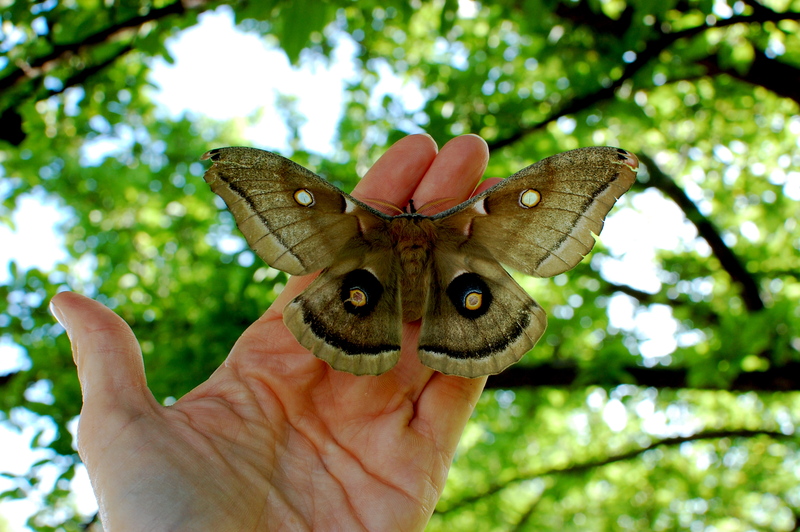 This entry was posted in Posts by Mel and tagged Anthera polyphemus, Chicks, Polyphemus moth, Texas moths by Women of Wise. Bookmark the permalink.